Anthony John "Tony" Crombie (August 27, 1925 - October 18, 1999) was an English jazz drummer, pianist, bandleader and composer. 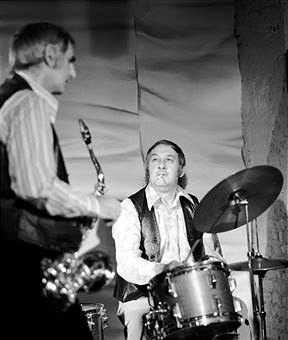 Known as The Baron by his colleagues, was regarded as one of the finest jazz drummers and bandleaders to emerge in Britain, and as an energizing influence on the British jazz scene across six decades. 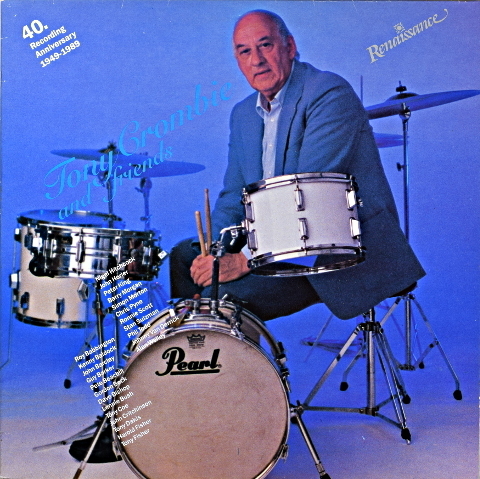 Born in Bishopsgate, London, England, Tony Crombie was a fine self taught drummer, composer and arranger as well as a talented, but occasional, pianist and vibraphonist. He began playing in wartime clubs at the age of sixteen, Mazurka Club (1941), and Number One Rhythm Club before joining Carlo Krahmer in 1943. Following work with Tito Burns and Johnny Claes in the mid 1940s he toured with Duke Ellington in 1948 as part of Jack Fallon's Trio. 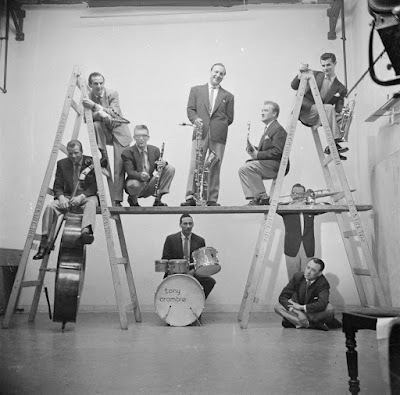 In December 1948, he helped start the short-lived Club Eleven in London, which became a crucial focal point for the emerging bebop scene, and worked closely with Ronnie Scott, Johnny Dankworth and others, as well as forming his own Septet at the club. 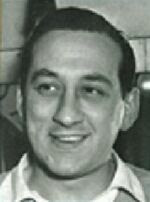 He was the drummer in the Victor Feldman Trio in 1954-5, prior to Feldman's move to the USA. He spent two and a half years from 1953 with the renowned Ronnie Scott Orchestra as well as accompanying Ella Fitzgerald, Tony Bennett and Lena Horne on their UK tours during the 1950s. 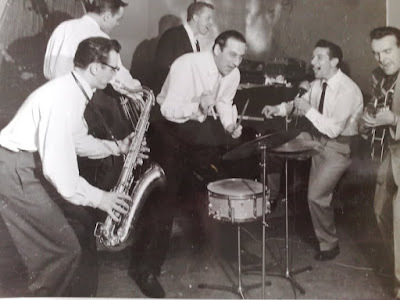 He also led his own bands, including an Orchestra featuring Dizzy Reece, Les Condon (tp), Joe Temperley, Sammy Walker (ts), Lennie Dawes (bs), Harry South (p), Ashley Kozak (b) which made two recordings for Decca Records in 1954, one of which also featured vocalist Annie Ross and a track with Bobby Breen. 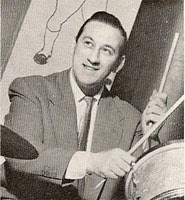 In 1956, Crombie set up a rock and roll band he called The Rockets, which at one point included future Shadows bassist Jet Harris. 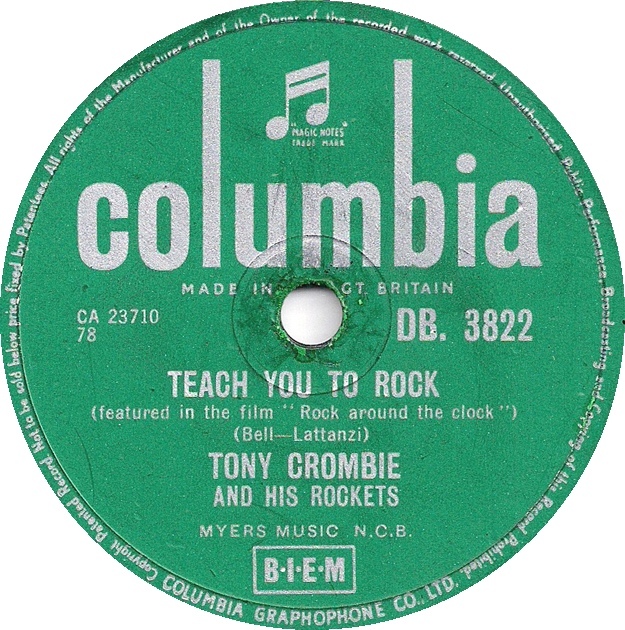 The group was modelled after Bill Haley's Comets. Tony Crombie and his Rockets released several singles for Decca Records and Columbia Records, including "Teach You To Rock" produced by Norrie Paramor, which is regarded as the first British rock and roll record and which made the UK top 30 in October 1956. By 1958 The Rockets had become a jazz group, including Scott and Tubby Hayes. He led another band as Tony Crombie and his Men in 1958 and in 1959 he formed Jazz Inc which included Bobby Wellins and Stan Tracey. Jazz Inc survived for just 17 weeks but although a commercial failure it was reckoned by fans and critics to be a major musical success. In 1960 Crombie established a residency at a hotel in Monte Carlo. 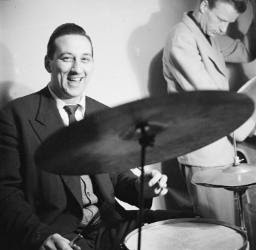 On his return to England, he became the house drummer at Ronnie Scott's Jazz Club, where he accompanied visiting American stars like Ella Fitzgerald, Coleman Hawkins, Ben Webster and Jimmy Witherspoon. He also performed in Israel and the USA, and began writing for films and television. In 1963, Miles Davis recorded his composition "So Near, So Far" for his Seven Steps to Heaven album, and Joe Henderson would make it the title track for his 1992 tribute album to Davis. Several more of his tunes were taken up by major jazz artists, including "That Tune" and "Restless Girl" by Stephane Grappelli, with whom he often worked. As the audience for jazz diminished through the 1960s Crombie worked with rock musicians Alan Haven, Mike Carr and Georgie Fame through into the 1970s. Much travelled as a leader he worked with a quartet in Monte Carlo (1960), Israel (1963), and bookings with organist Alan Haven in Las Vegas (1964 -67). He also worked with pianist Alan Clare and collaborated with him on a number of compositions. He also toured with artists like Lena Horne, Carmen McRae, Tony Bennett, and Jack Jones, and played piano on the Annie Ross album Skylark. He continued on a free-lance basis through the 1980s and 1990s with arranging and composing for TV and films among his band leading and other musical activities until a slow recovery from a broken arm led to club work drying up. A big thank you to Jake for active link.